I often hear the word gap moe, but I do not know what it means. So what does the word gap moe mean? Let's look at the meaning of the words separately. A quick google search tells us that a gap is a space or interval; a break in continuity. It can also mean to be a difference. Here is a post that addresses what moe is. If I were to describe it myself, it is the feeling you get when you see someone/something so cute you just want to hug them and take them home. Combining the two, gap moe is that irresistible feeling you get when there is a difference in the way someone/something acts and/or looks. When that character acts/looks out of character. described as "a contradiction in exhibited characteristics that people find cutely attractive"
is when a character does something completely contradictory to what their usual habits/personality/character/appearence dictates. Yup, for the gap effect to work, you have to see the person in a completely different light that you never expect. This is Tohsaka Rin from the Fate series, and a tsundere. Tsunderes are probably the most common example of gap moe. To put it simply, tsunderes are characters who act all tsun around the one they love. Then they suddenly act all dere. If you feel moe when a tsundere starts acting all deredere, THAT is gap moe. 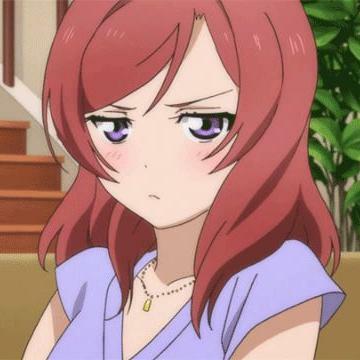 In Love Live!, Nishikino Maki is probably the most mature among the first years. However, she still believes in Santa! That gap between being mature and believing in something a child (and child at heart) would only believe, if you feel moe about that, THAT is gap moe. So tldr; Gap moe is that moe feeling you experience when a character acts and/or looks in a way that contradicts the way they usually do. Not the answer you're looking for? Browse other questions tagged culture terminology or ask your own question. What does it mean to be a poster child of type B blood?